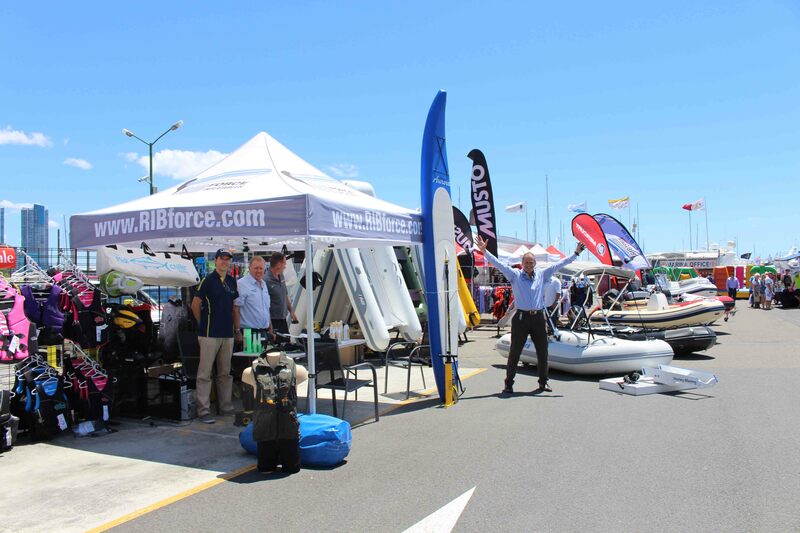 Over 450 sailors competed on water between the shores of Main Beach and Currumbin on the second day of Bartercard Sail Paradise, which is sure to be a record number of sailors offshore the Gold Coast. 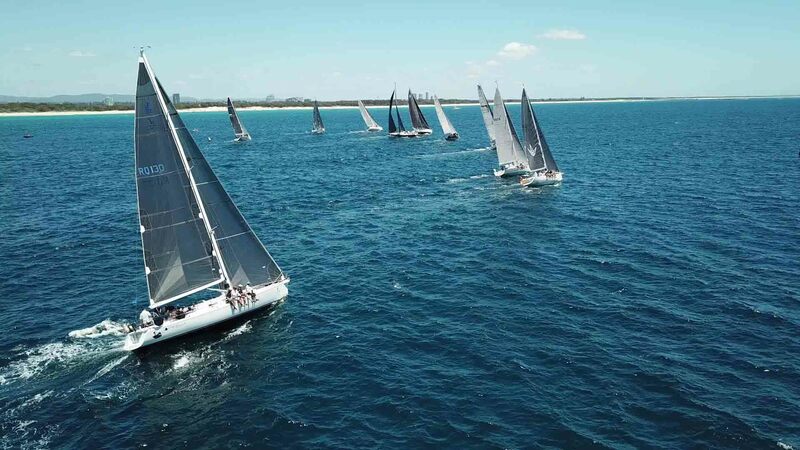 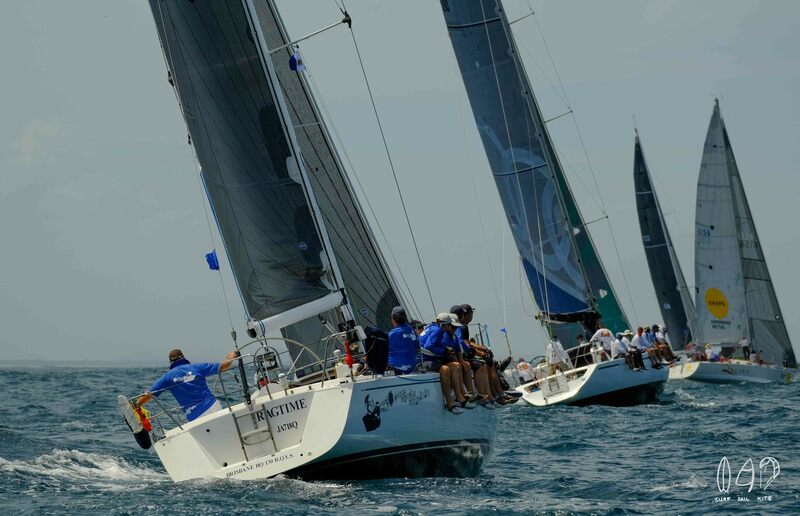 With day two of the Bartercard Sail Paradise Regatta and the final day of the 56th International OK Dinghy National Championships there were racing yachts as far as the eye could see for the entire length of the Gold Coast. 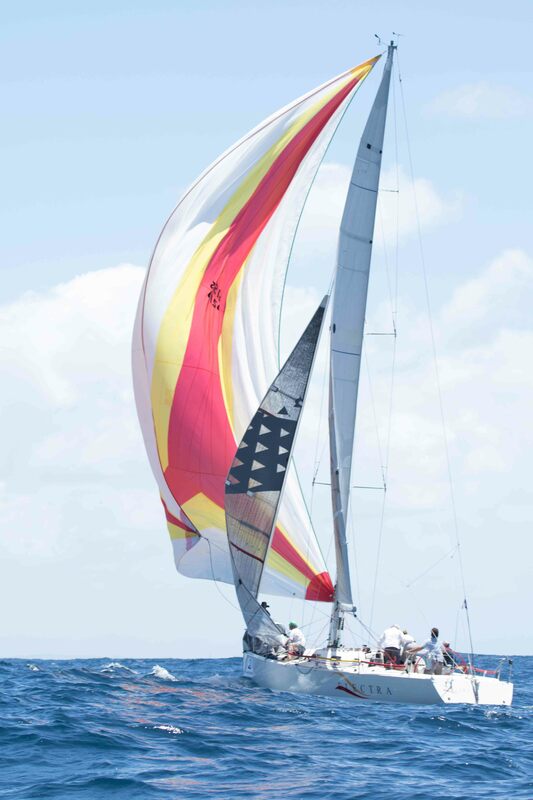 It was a sight that even a non-boat owner could just sit back and appreciate the sheer beauty. 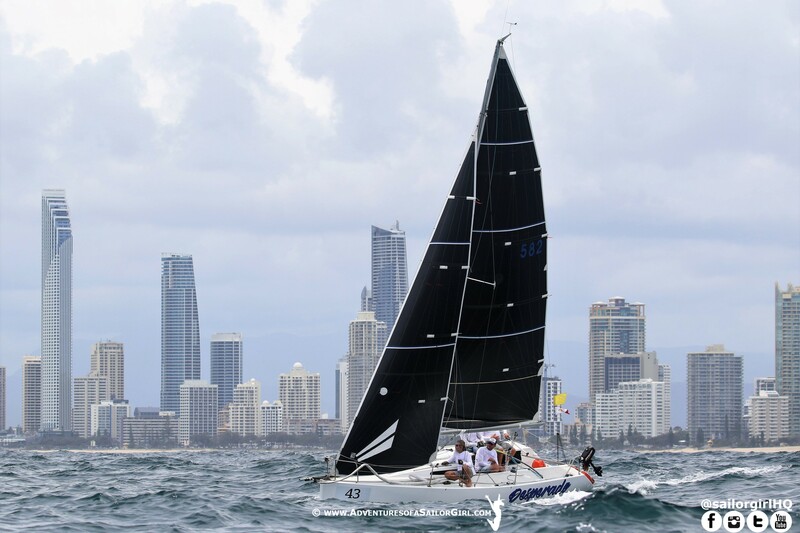 With competitive racing in the IRC division, Bradley Ginnivan on BEACH BALL is still taking lead in the 2018 Australian Yachting Championships with two days left for contesting. 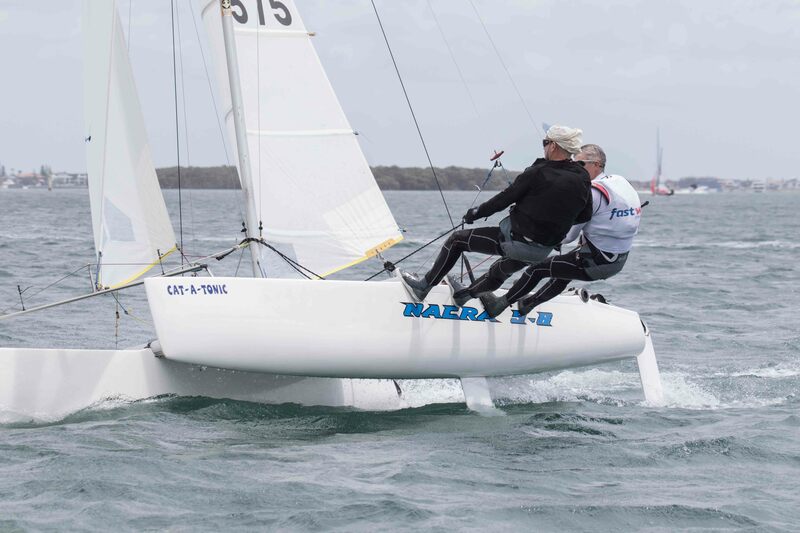 Another fantastic competitor within this division showcases Ray Haslar’s RIKKI, travelling across the Tasman from New Zealand to compete within this regatta. 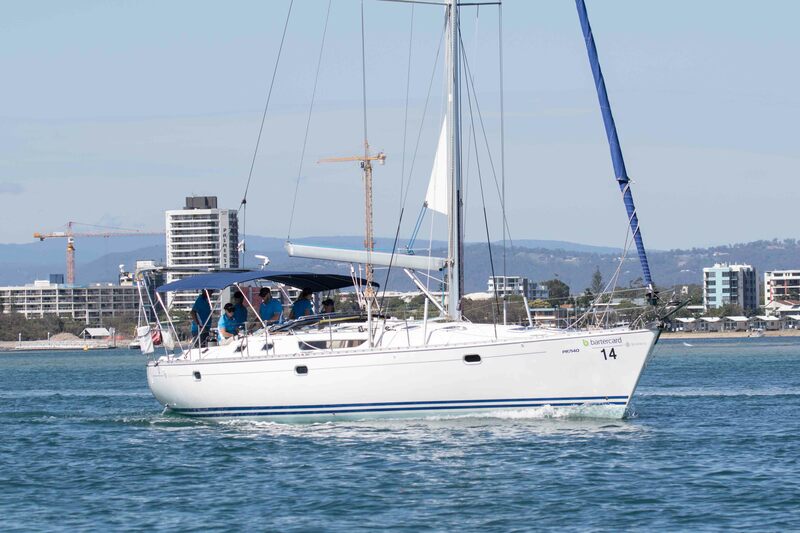 After competing at Bartercard Sail Paradise and Club Marine Pittwater to Paradise in 2018, the crew will sail back to NZ onboard RIKKI this coming Thursday, hopefully with a trophy or two. 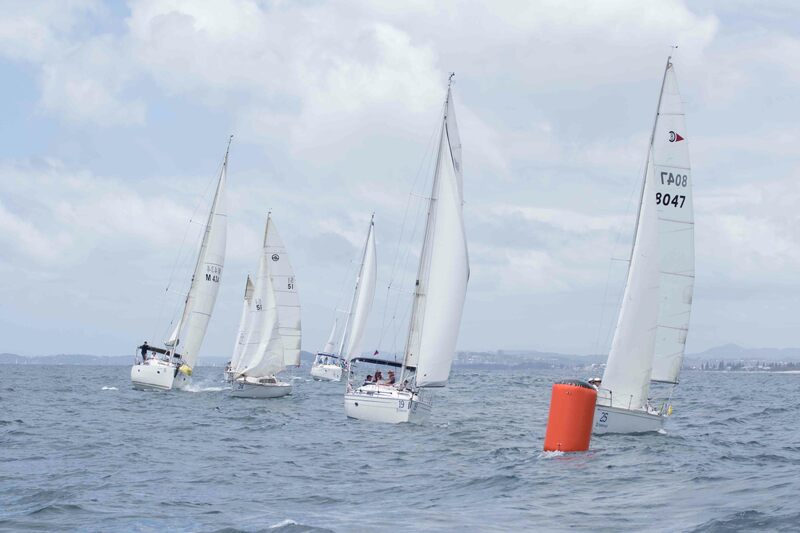 With a state title on the line RETUNED skippered by Graham Sherring has opened a commanding lead at the half way point of the regatta. 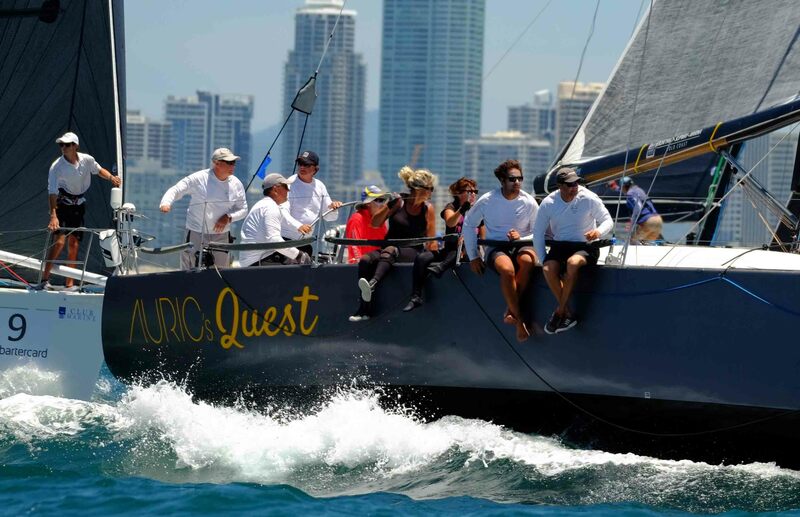 In second place Southport Yacht Club Commodore Kerry Noyes is crewing onboard the FASTWAY COURIERS skippered by son Chris Noyes. 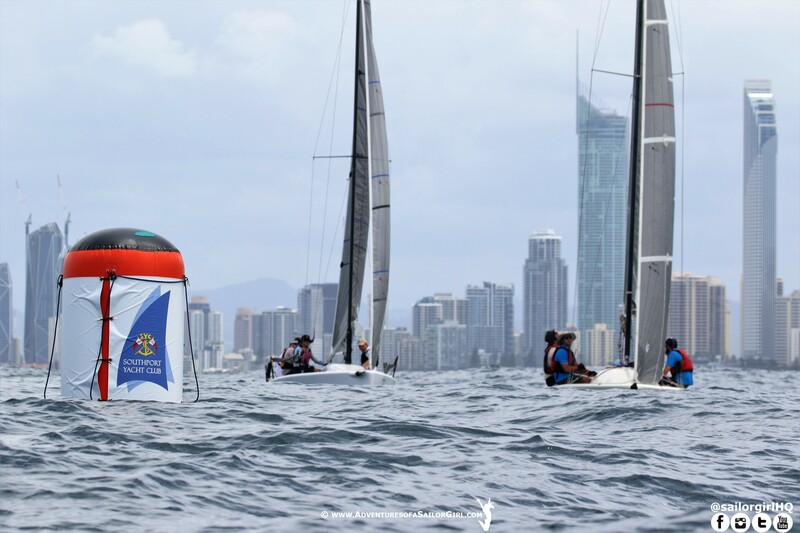 Although giving up a good lead, the right weather conditions today could potentially see them right back in the mix and a high chance for them to win the Australian Sports Boats Queensland Championships. 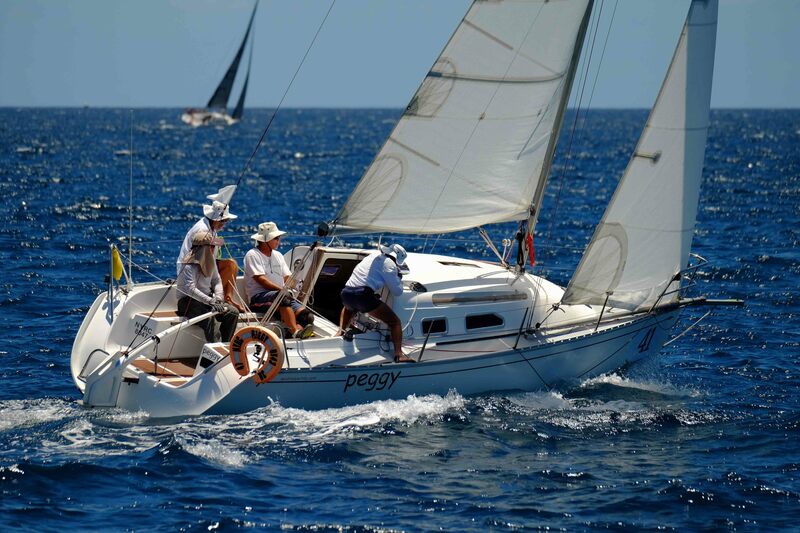 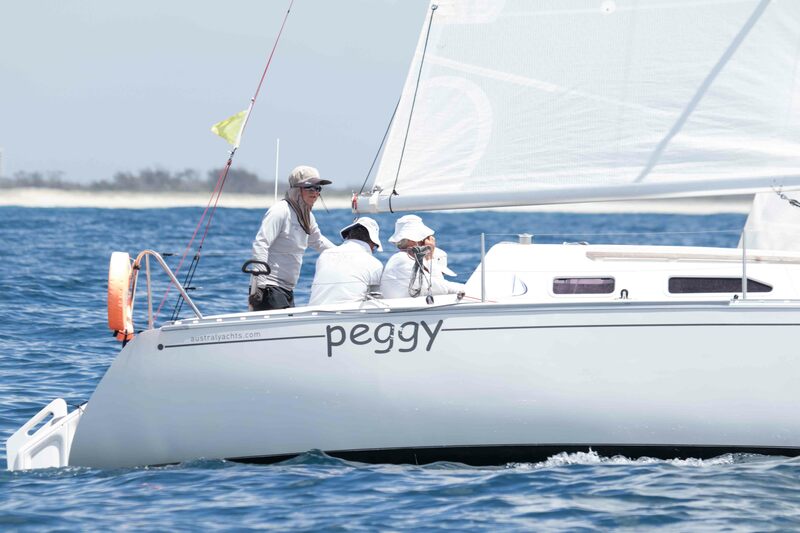 For the fourth year in a row, the Noosa yacht PEGGY skippered by Benjamin Meakin returns to the Gold Coast to defend their wining Trailerable title in 2017. 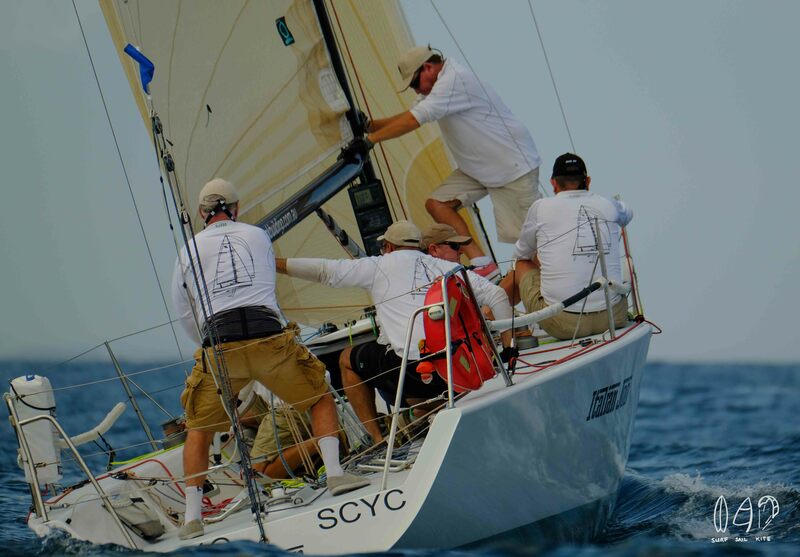 This is a once a year crew reunion who don’t regularly sail together back home.